On April 14, you can go nuts celebrating National Pecan Day. Okay, maybe you don’t want to go too crazy and gorge on pecan pies, but there are lots of healthy ways to get your fill of pecans this day and every day. And pecans offer many benefits that you don’t want to miss out on. Pecans are buttery in flavor and add a great, satisfying crunch to foods. A type of tree nut, pecans are native to the United States, originating in the south around Texas and Louisiana as well as in Mexico. You can eat them on their own as a snack or as part of a nutritious dish. They are a delicious addition to salads, on acorn squash or sweet potatoes, and mixed into oatmeal. Beyond their delicious taste, pecans are chock full of nutrients, even ranking among the top 15 foods with the highest levels of antioxidants, according to the USDA. They contain vitamins A, B, and E; folic acid; calcium; potassium; zinc; and so much more. Read on to discover six ways pecans can promote good health. Pecans are rich in polyphenols, which are antioxidants that can help protect against heart disease and stroke. A 2011 study at Loma Linda University in California showed that due to their phenolic compounds, pecans can inhibit the oxidation of blood lipids, preventing the buildup that can lead to arteriosclerosis.1 In addition, a one-ounce serving of pecans contains 120 milligrams of magnesium. This mineral has been linked to a reduction in stroke risk. Tree nuts like pecans are also known to reduce blood pressure and cholesterol levels. These nuts are a good source of oleic acid, which is a naturally occurring fatty acid that is found in certain plant and animal fats. Oleic acid is linked to a lower risk of developing breast cancer. Other antioxidants found in pecans are ellagic acid and flavonoids, both of which have been shown in studies to decrease the risk of several types of cancers. High in fiber, pecans can improve the movement of food matter along the gastrointestinal tract and make bowel movements more regular. Better efficiency in the digestive system helps prevent an accumulation of waste products and toxins that can put us at risk for hemorrhoids, polyps, and even diseases such as colon cancer. The magnesium in pecans is a great inflammation fighter. In fact, a 2007 study at the Centre de Recherches en Nutrition Humaine d’Auvergne in Clermont-Ferrand, France found that a higher intake of magnesium is associated with a reduction of several inflammation markers in the bloodstream.2 Plus, pecans are high in beta carotene and vitamin E, which can help lower your risk of numerous conditions related to inflammation, including heart disease and dementia. Pecans contain manganese, an antioxidant that is known to help bolster the immune system. 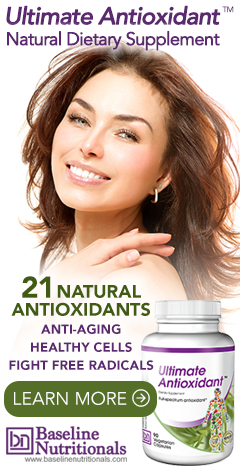 Manganese provides cells with protection from free radicals that can cause damage and result in abnormal growth over time. This mineral is particularly important to healthy function of the central nervous system. At 77.5 milligrams of phosphorus per one-ounce serving, pecans provide eight percent of the daily recommended intake of this mineral. Phosphorus is essential for keeping our bones strong. This is important both when we are young and building bone mass and when we are older and want to ensure we do not lose much bone density to prevent diseases like osteoporosis. By the way, there’s even a healthier way to enjoy your pecan pie, if that’s your thing. Visit www.thegraciouspantry.com/clean-eating-pecan-pie/ for an excellent recipe made up of natural, whole foods. 1. Hudthagosol, Chatrapa; et al. "Pecans Acutely Increase Plasma Postprandial Antioxidant Capacity and Catechins and Decrease LDL Oxidation in Humans." Journal of Nutrition. 1 January 2011. Accessed 21 March 2018. https://academic.oup.com/jn/article/141/1/56/4630660. 2. Mazur, Andrzej; et al. "Magnesium and the inflammatory response: Potential physiopathological implications." Archives of Biochemistry and Biophysics. 1 February 2007. Accessed 22 March 2018. https://www.sciencedirect.com/science/article/pii/S0003986106001366.